The Guard and Warden Service House has been the lead operator in the market for the provision of the most extensive range of enforcement and ancillary services to all local councils in Malta and Gozo. This service was launched in 1999 after tenders were won by the company. The in-dept understanding of the specific priorities and requirements as well as the importance of the positive interaction with the local and central government at all levels has proved a key factor in maintaining the business over the years. The principle of the company has always been to Educate, Deter and Enforce and the services expanded over the years to include speed cameras, on street CCTV monitoring, management of traffic collisions and other traffic managements services. 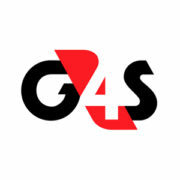 In 2012 the company joined forces with G4S Security Services which had been operating in Malta for many years and today is jointly owned by Kdm Investments and G4S plc. Services offered include man guarding services, Cash in transit(CIT), and the supply and maintenance of security systems. Prestigious clients apart from the Government include Malta International airport, the general hospital, Embassies and various large corporations.